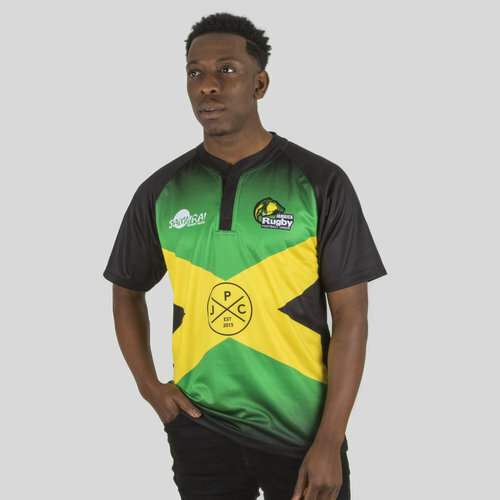 Taking inspiration from the famous Jamaican flag, support the Caribbean island nation with this Samurai Jamaica 7s 2017/18 Home S/S Replica Rugby Shirt in Black, Gold and Green. 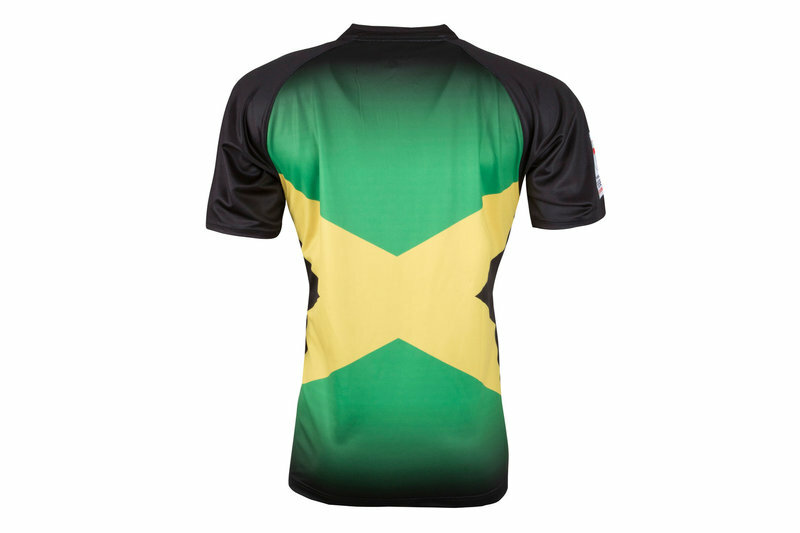 This rugby shirt of the Caribbean side, Jamaica Rugby comes in the colours of the Jamaican flag, with its three colours carrying different meaning. Black portrays the strength and creativity of the people, gold represents the natural wealth and beauty of sunlight and green highlights the hope and agricultural resources of the country. Made by from polyester this shirt also includes Samurai’s breathable and sweat-wicking PerformeX Ikoma fabric, which moves moisture away from the wearer's skin leaving them cool and dry. With the subtle logo for main sponsors the Jamaica Patty Company, be sure you pull on this Samurai Jamaica 7s 2017/18 Home S/S Replica Rugby Shirt.